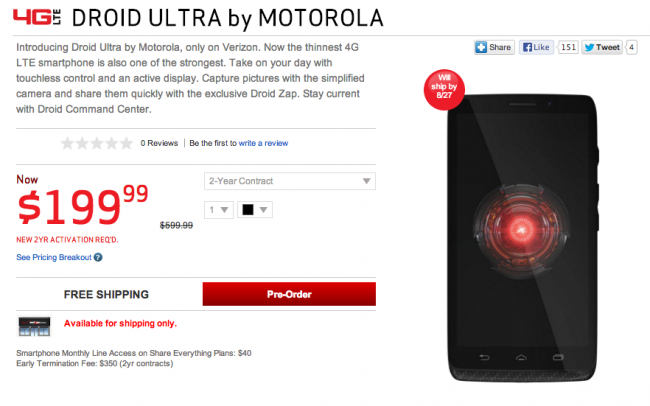 When Verizon announced their new DROID family of phones back in late July, they set release dates of August 20 for the DROID ULTRA and MAXX, and August 29 for the DROID Mini. Those dates, within the last day or two, changed for the ULTRA and MAXX to August 27. Verizon hasn’t given reason for the change. It could be that they sold out of their original batch and that early pre-orders will still ship on the 20th, or that the phone has been delayed a week. We’ll see what we can find out. Update: We heard back from Verizon and have good news. 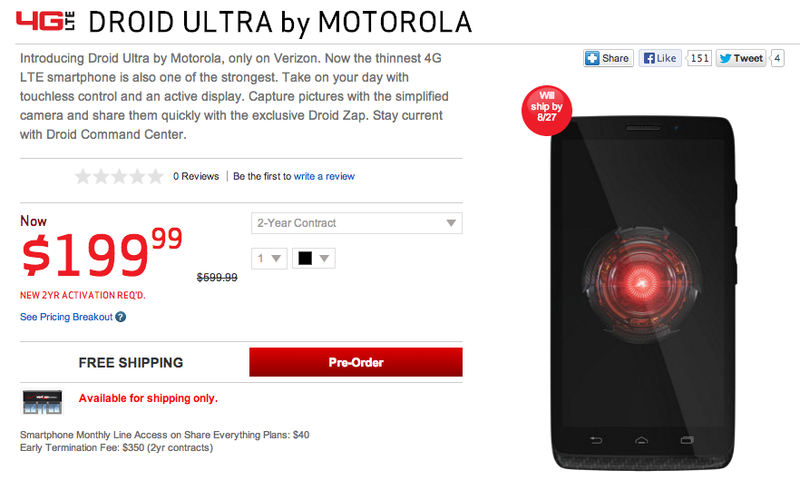 The launch date for the DROID ULTRA and MAXX is still August 20. Both devices will be available in stores on that day. If you pre-ordered before today’s shipping date change of August 27, your device will still ship on the original date that it said (likely the 20th) when you ordered it.